Antique Victorian Engraved Round Floral Locket Pendant Necklace 10K Gold Filled. 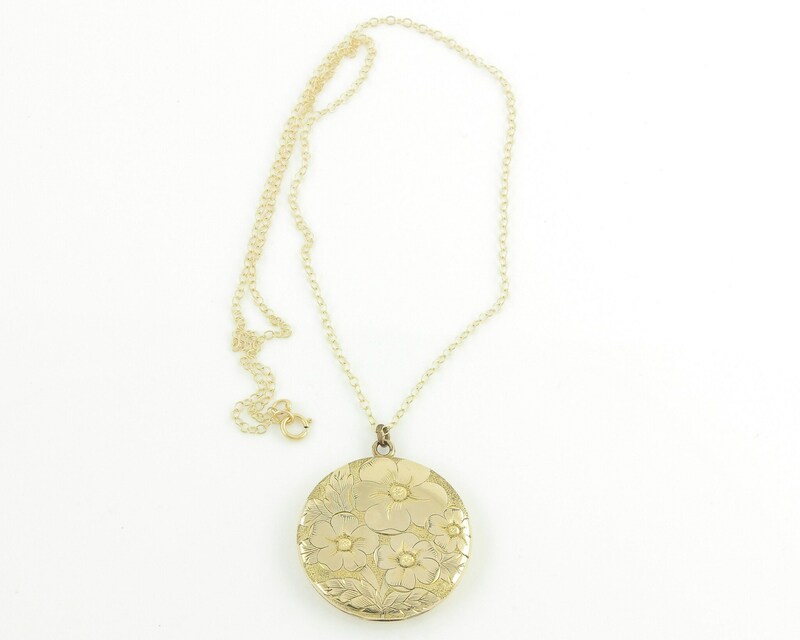 Made about 1900, this round locket is decorated with a round plaque of hand engraved flowers. 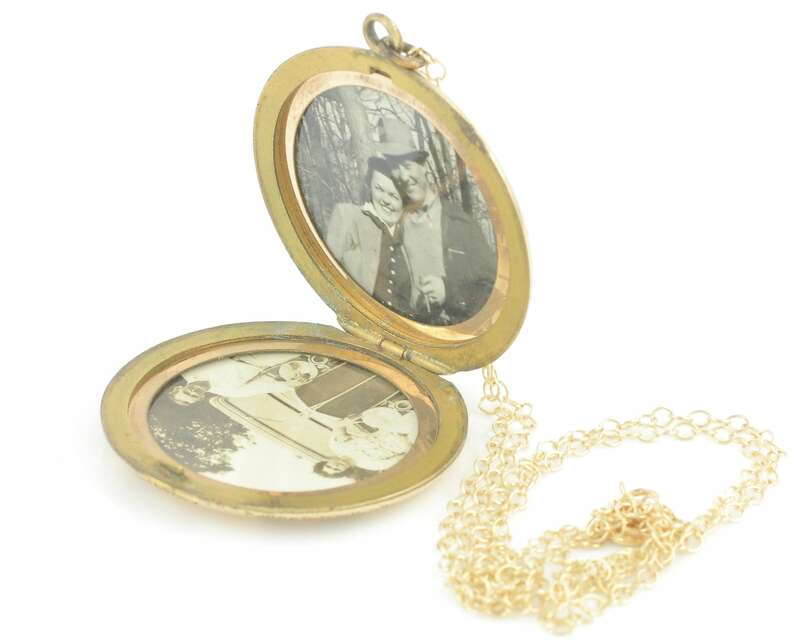 The locket contains the two original photo frames, but there are no celluloid covers. 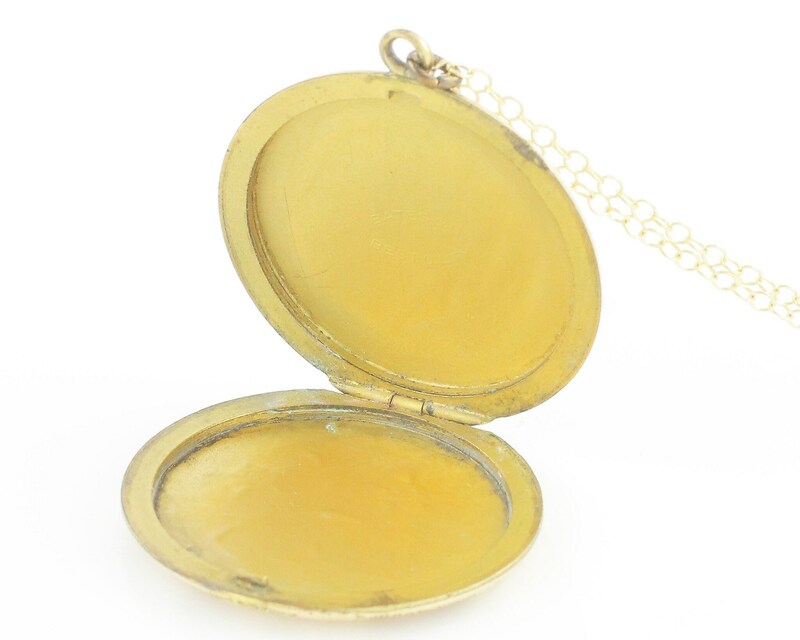 The locket has been suspended from a new, replacement 20" long rolo chain of 14K gold filled. The hallmark for A.A. Green Company of Providence, Rhode Island is on the inside of the locket, along with 1/10, indicating that the locket is 10K gold filled. The new, replacement chain was made by the Garlan Chain Company of Attleboro, MA and is marked 14/20 GF and GC. 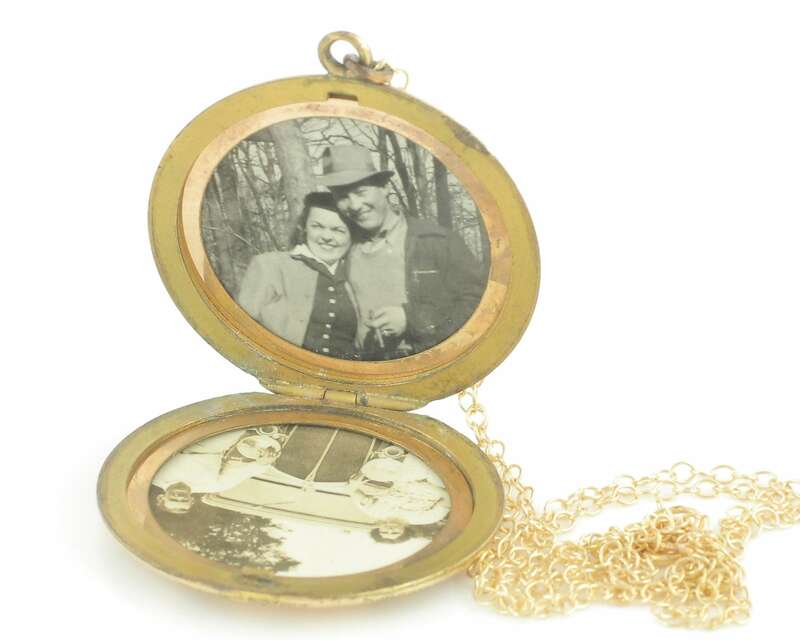 HALLMARK/HISTORY: Locket is marked Bates & B Best Quality on inside back panel. This is the mark for Bates and Bacon of Attleboro, MA. The chain is marked 14/20 GF and GC, indicating it is made of 14K gold filled and was made by Garlan Chain Co. CONDITION: Excellent vintage condition, with no damage noted. 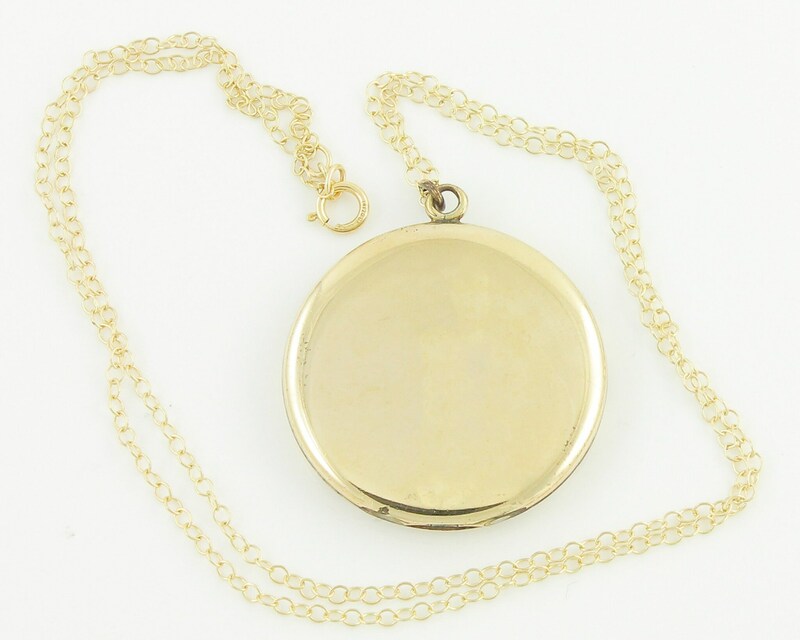 MEASUREMENTS: Chain measures 20" long; Locket measures 1 1/4" in diameter.